Volkswagen launched a special edition Vento in India called the Vento Preferred Edition. 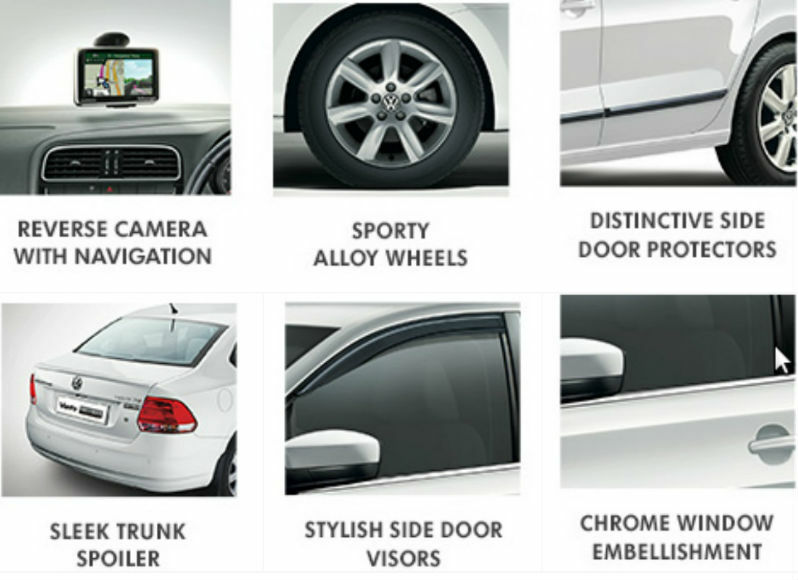 The Preferred edition sedan of VW is added with the features like alloy wheels, side door protectors, chrome embellishment on the window lines, door visors, boot spoiler and a ‘Preferred’ badge on the bootlid. On interiors, the car receives a reverse camera display which doubles up as a navigation system. The price of Volkswagen Vento Preferred Edition is still retained under wraps. In addition to the aforesaid features, Volkswagen had said to provide free insurance for first year and 4-years road side assistance. This new exclusive sedan of VW is rolled out in order to beef up the sales against the new Honda City. The Vento Preferred can be preferred in the fuel trims, petrol and diesel. Both of the powertrains comes displaced with the 1.6L engine mated to a five-speed manual transmission.